Love is in the air: Valentine's Day is just around the corner! If you haven't made your plans yet, why not surprise your honey with a lovely weekend vacation? Ditch the chocolates and roses for some much needed R&R at a cozy hotel. Here are 15 romantic getaways in the U.S. to make your Valentine's weekend as sweet as can be. Starting out the list of romantic getaways is Sedona, Arizona. Consider going off the grid for the weekend with your partner and just taking in the nature around you. If hiking in nature isn't your thing, consider staying at one of Sedona's many spa resorts and enjoying some 5-star treatments. It's definitely a great city to escape and relax, away from all the hustle and bustle. When you get to Miami you almost feel like you've escaped into another world. The air is spicier, the people are hotter, and the music is louder. It's a wonderful place to be. 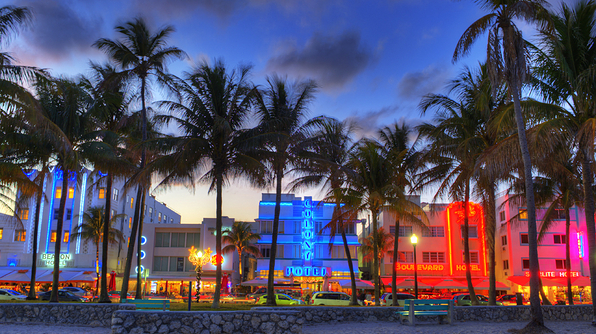 Hit South Beach by morning, stroll Ocean or Collins Avenue by afternoon, have dinner along Española Way in the evening, and end the night at a bumping night club. This city is a great escape for any fun, adventurous couple. Get back to nature when you visit Big Sur, California. This town boasts some of the country's most exquisite views of the Pacific Ocean just along California's coastline. Stay at a luxurious spa or inn and get the royal treatment in between your hikes or drives through nature. Make sure you set aside plenty of time to take in those views! 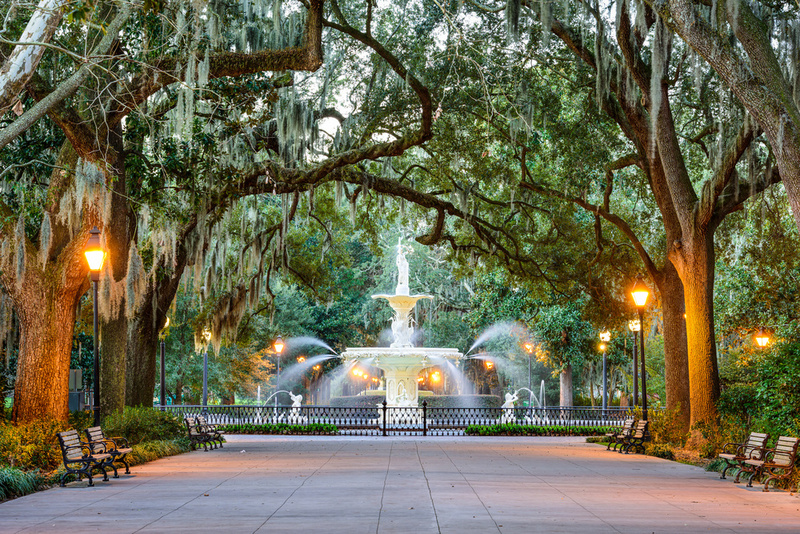 Enjoy the Southern comfort when you visit Charleston, South Carolina. This gorgeous town is known for its quaint B&Bs and luxurious hotel mansions, which makes it an excellent weekend destination for you and your love. 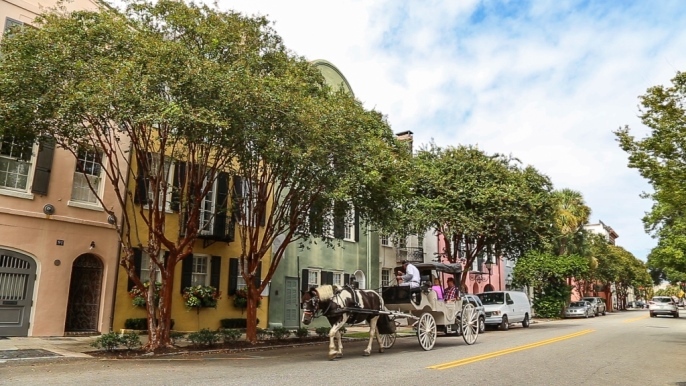 Wander the tree-lined streets or take a carriage ride down the road to see stunning, old architecture. Whether you like to hit the slopes or not, you really can't miss a romantic weekend in Park City, Utah. Rent one of those cute colorful cabins downtown, or stay in a ski-in/ski-out lodge along the mountains in Deer Valley. If you're really feeling the need to splurge, look into staying at the St. Regis Deer Valley and you'll be thrilled about the views you get to take in. Feed your natural instincts for the weekend at Jackson Hole, Wyoming. This could truly be an off-the-grid, natural experience for you and your partner to enjoy together. Go hiking together, take a hot air balloon ride, take a dip in the hot springs, spend the weekend at the spa, or cuddle up in a cabin in the woods. There is so much to love about La Jolla, California. This cute SoCal town is full of romantic things to do for the weekend. Stay at La Valencia hotel, stroll through the town, see the animals at the cove, or watch the sunset over the beach. For a full weekend guide to La Jolla, click here! 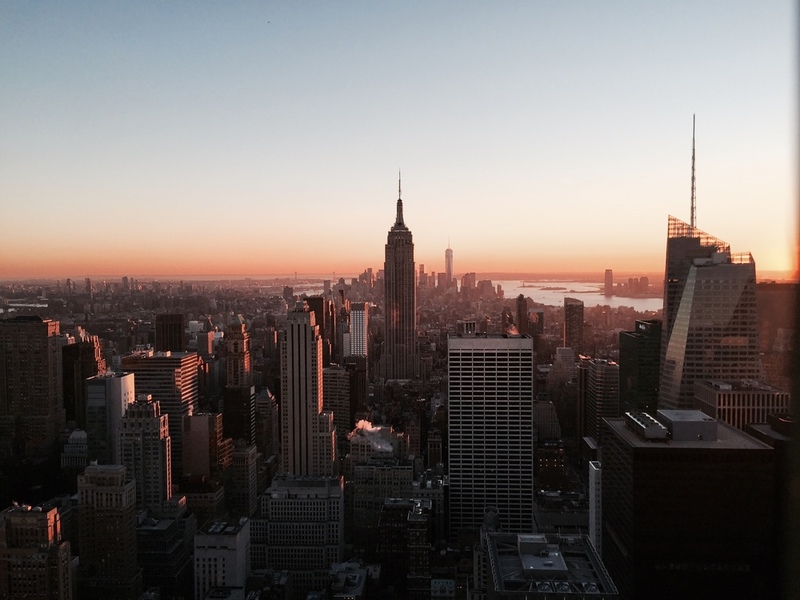 New York will always hold a special place in my heart because it's where I fell in love. This city has everything for couples to do. Any type of restaurant you want, the best shows in the world, the most amazing urban parks, shopping, architecture... Ugh, the list goes on and on. NYC is truly a paradise for couples who love the city. Steal kisses from your lover as you stroll down the charming Southern streets of Savannah, Georgia. No doubt you'll fall deeper in love in this quaint little town filled with cobblestone streets, Spanish moss, and waterfront architecture. Stay at a romantic inn or rent a house in the historic district of town. You really can't go wrong when you're in Savannah! Most people think to head to Cape Cod during the summer; but why not skip the crowds and save some money by heading there during the winter season? The views are just as gorgeous, but you'll likely find better deals. Cozy up with your love to look for light houses or watch the sunset over the water. If you're lucky enough to be close to Hawaii (aka living on the west coast), consider hopping on a flight and heading over to Maui for a romantic weekend. Relax on the beach for the weekend, take the Road to Hana, visit one of the many picturesque waterfalls, or just hang around the spa for the weekend. It's Hawaii...are there really any bad choices? Maybe it's all the wine, the luscious landscapes, or the tasty food scene, but Napa, California just oozes romance and luxury. This city, which is just a short drive away from San Francisco, is a great couples getaway that you can't miss out on. Sit back, sip your wine, and hold your honey's hand while soaking in the Napa sunset over the rolling vineyard hills. 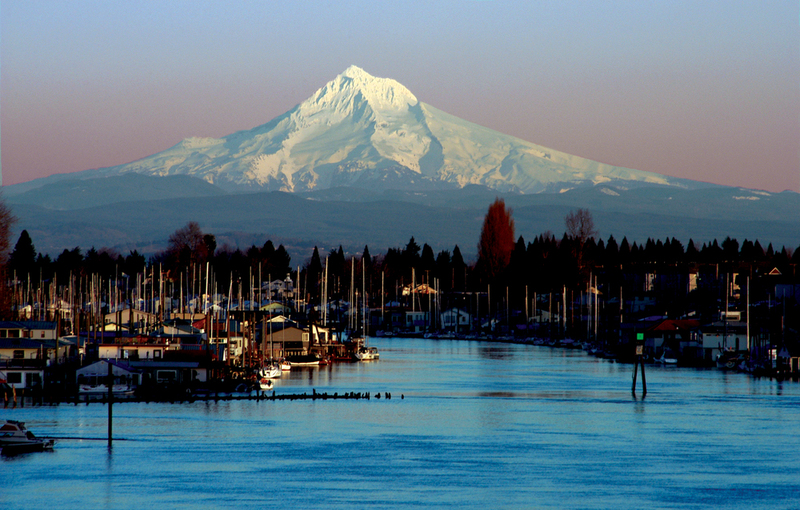 If you and your partner are into having a quirky, fun weekend, try out Portland, Oregon. This city is filled with unique things to do and places to go. They are known for their food and drink scene (craft beers, anyone? ), as well as their incredible proximity to natural beauty. Make sure you visit at least one of the many parks nearby! Chicago, my home sweet home. It's impossible not to fall in love with this city when you visit with your lover. There's food, architecture, world-class museums, and so much more. You really can't go wrong when you spend time here; but if you want a killer view, hit up the Signature Room on the 95th floor of the Hancock Building. You will be thankful you didn't miss those views. Whether your idea of a romantic weekend means eating your worries away with delicious cajun food, snuggling up listening to great music, or partying it up with the best of them on Bourbon street, New Orleans is sure to sweep you off your feet. Visit this sensual city for the weekend and take in the unique NOLA architecture, listen to jazz music, or stroll through Jackson Square. 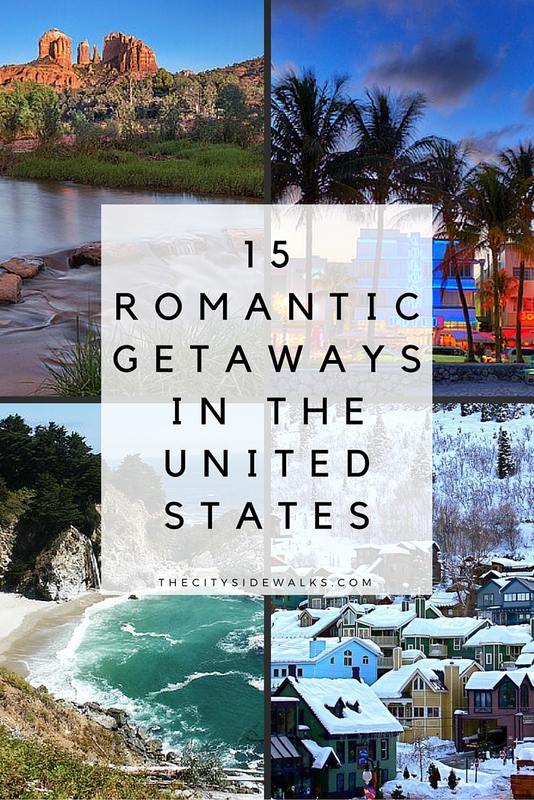 What are your favorite romantic getaways in the United States? Comment below with other great suggestions!